Inky Paws Challenge: Inky Paws Challenge Winners! All I can say is ....WOW. We are so excited that so many of you entered our very first Inky Paws Challenge at here at the Newton's Nook Designs blog. 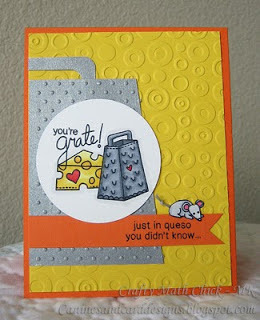 It was so much fun to check out all your blogs and see what everyone is creating with our new stamp designs! I really enjoyed each and every project that was posted and it was very hard to pick the winners (because we had more than 15 participants we are picking TWO). But we had to choose and here are our two top picks! I really loved that Danielle made her card interactive. If you go to her blog (girlracerscrap), she even posted a video -- the whole kitty wobbles back and forth - super fun! Winners - make sure you send us an e-mail at info@newtonsnookdesigns.com to claim your $10 store credit and get your winner badge for your blogs! And because there were so many great cards - we wanted to showcase a few of our other favorite picks! If you see your card below, contact us to get a "favorite" badge for your blog! Designs by Dragonfly made this really fun school themed card using the free Digital Bird Stamp! 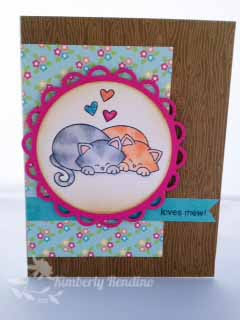 Dana used the Campfire Tails stamp set to make this lovely simple design. 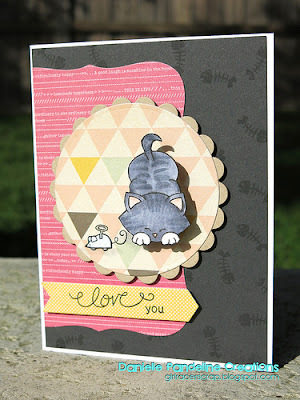 Kimberly created this super sweet card using Newton's Antics! Thanks again to everyone who entered! If you didn't win this time, check back again in a few weeks - we had so much fun with this challenge that we plan on doing another one soon and hope to do them about once a month!